I have just over a week until Oldest's Harry Potter party. Yikes! I am slowly plugging along with some small projects for the Wizarding fest we will be having. SLOWLY. Like S-L-O-W-L-Y. This weeks agenda had the gathering of supplies, the final lists, the making of robes (which have turned out more like vests...I will show you later and explain), and the making of these patches for the front of the robe/vest...aka robest or vestobe is you prefer. This is a WAY simplified version of the actual patch that was on the robes, but let's face it these were WAY easier to make and cheaper than ordering patches. So with that being said, I am thrilled with how they turned out AND I only lost some of my hair and eye sight cutting out and sewing on the tiny lions! Now all I have to do is finish the rest of the robes (I only have 3 completely done...there might be a few more) and attach the Gryffindor patches. Did I say that was all I had to do? Hahaha...wishful thinking I guess! 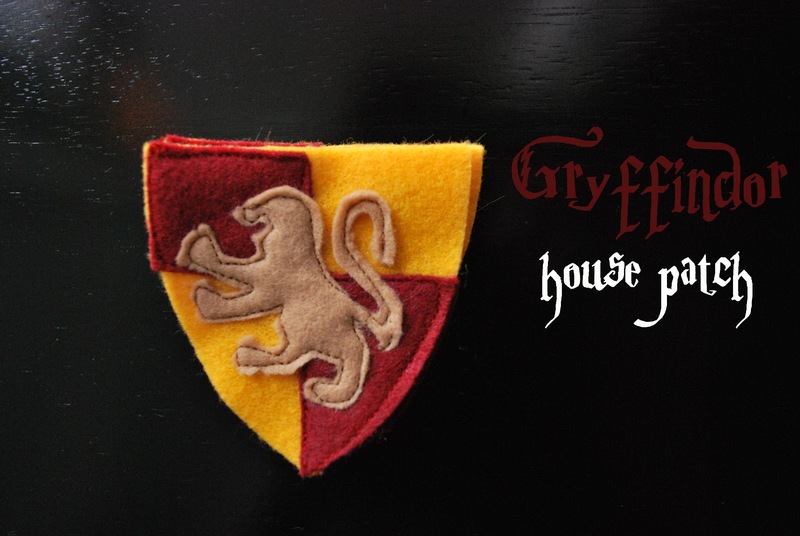 Continue the Harry Potter mania by heading over to Blue Cricket Design. I have a contributing post over there today for a how-to on this fun invite. 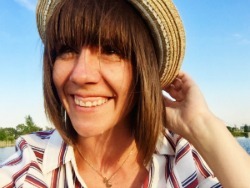 See ya tomorrow everyone for another Pinteresting Saturday! We're having a Harry Potter party in April. I'm just getting started on the planning - so fun! Love how the patches turned out! I'd love to do a Harry Potter party for our kids...but right now our oldest is 7 and can't make it through even remotely scary movies. (Tangled was too much for her...) So no Harry Potter for our house for a while, although my husband and I have read all the books. Thanks for the link Polly! so amazing that you done this so good. Yes! Commment coming in 2015 (go Pinterest!). 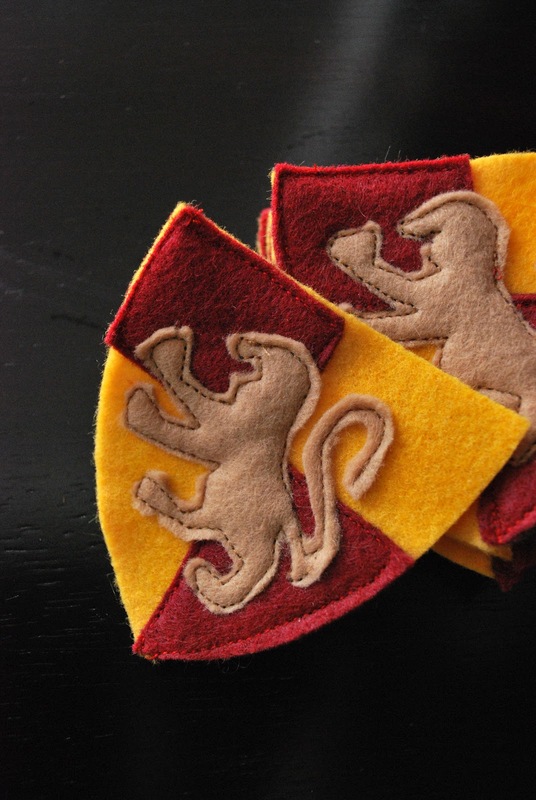 We used your design to make crests for two Griffendor robes (my daughter, as Hermione; and my nephew, as Harry) The crests turned out wonderfully! Suggestion - if you "happen" to have pattern pieces that will print on 8.5 x 11 paper, others would surely benefit from your wonderful design. We had to "freehand" it based on your inspiration - and they turned out wonderful - but others might like some extra help. Thank you!